I was teaching Hono about lighting cynos the other day and I realized that I forget that there are many players that do not interacted with capital ships on a normal basis. I forget because my awkward path led me into a place where capital ships were a matter of course. A day to day event where the proper care and management of them became another of many lessons consumed. 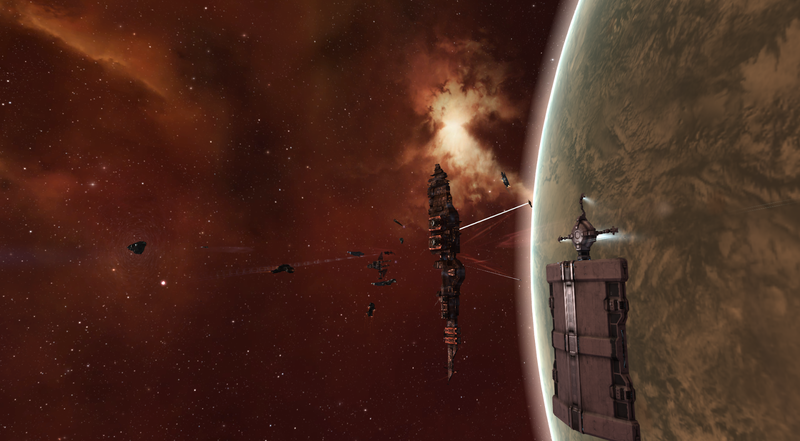 And it didn't really occur to me but recently that some players may not like capital ships being involved in a fight. Its a ship like any other. It is big and it is expensive. Properly training into one takes some time. I also consider battleships to be big and expensive. I consider pimped out pirate frigates to be small and expensive. Expense can enter a small hull through modules or preexist in a large one through sheer volume. There are many subcapital ships that cost more then capital ships that die every day. Rarity matters. Look at the price of an Alliance Tournament frigate one day. Tiny and expensive. I'm used to capital ships. I've been around them since my start. 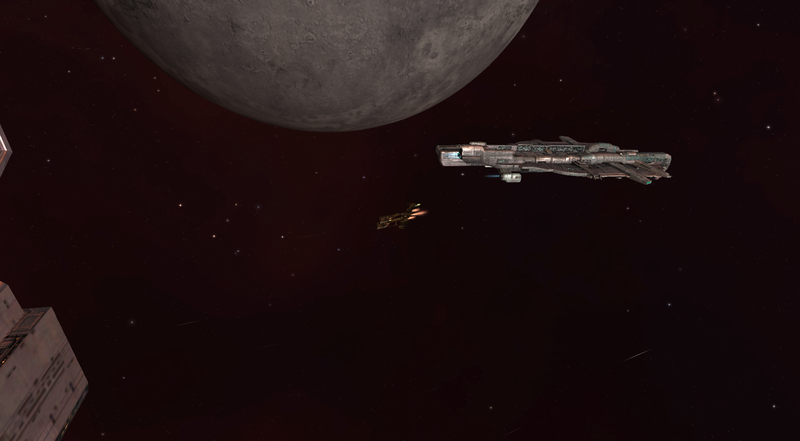 When Lue let me follow around salvaging I hovered about his Chimera in a Catalyst. The Chimera was enormous and I took many pictures of it. He mostly used it to buzz through level 5 missions and rep his Machariel. So while a big and expensive ship it was still a ship. Capital ships were something that you got into like anything else. They have their pros and cons, strengths and weaknesses. I learned about Titans and how to bridge and how not to bump the poor, delicate enormous thing. I've hot dropped more then I have been dropped upon. My first drops I was in a Rifter or a Rupture and that was cool and fine. I've shot people who didn't make sure they had a support fleet and an out and I've helped to defend my own corporations capitals or provided an out cyno that could be trusted. The first time I was allowed to light a cyno for one of our capitals I was privileged. Because lighting it meant trust. I felt that I had come a long way and proven that I was a member of the group. Capitals are a normal thing to me. They are not used every day, but in my world, nor are battleships. I have no opinions on their roles and uses and balance anymore then I do battleships because I do not fly either thing to even began to have a clue about them. As far as I understand, they are big, need to be protected, have cool blapping and repping abilities, and look awesome most of the time. 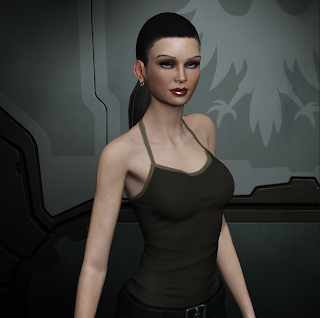 While wandering the Features and Idea fourm threads banging my cup against the bars of my cage waiting for CCP to notice the plight of low sec losing its static DED complexes I came across a terrible idea to fix low sec. The author even admitted that it was a terrible idea. I'm sure his title was meant to handle the initial shock and reaction of people while hopefully enticing them in to read about his ground shattering plans. However, his idea was terrible. Bad enough that I responses just to tell him it was bad. I had nothing constructive to add because it was such a painfully bad idea. My first thought was to ask, "Is your corp to poor to have caps?" but such snarky commentary might be fun but it is unproductive in the end. But I couldn't wrap my head around the why. The why of his idea which was to restrict low sec so that no capitals were allowed. The idea went further and he also wanted battleships to be Concorded or at least attacked by the faction police and turn low sec into a battlecruiser down area. Battleships would be allowed to mission but not fight unless first attacked. It is a stepping stone idea. 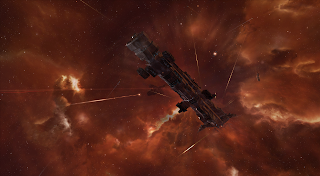 The idea to nerf low sec into softer, more pliable content so that people from high sec might get their toes wet before they run off and take Sov space because that is the end of Eve after all right? I hate stepping stone ideas where people want to change low sec to fit their personal visions of what is 'right' and their personal 'goal' in Eve. They are not about low sec as its own entity and are often about low sec becoming an in between place where people dip their fingers or use as a fall back. None of these ideas would support its harsh, pirate invested nature. So, while I thought the idea was so terrible that I waited for the thread to be good and dead before I commented on it, it made me wonder why the distaste for capital ships. They are not IWIN buttons. It seems that some of it is just a side effect of them being big. Is it just lack of familiarity? Never having heard the stress in a cap pilots voice when things start looking iffy, maybe it is a matter where familiarity breeds understanding. I've seen so many people aiming for a Titan from the first day and I wonder if not spending time with capital ships leaves an over arcing awe of them. Not that they are not amazing. But they are also vulnerable. I understand not having Titans and Super Carriers. They are floating coffins for an account. But something that is dockable seems reasonable to have if someone is in a position to use it. Such a life in low sec or null sec. Some might chose not to have capitals for the same reasons I chose not to have battleships. But, it didn't occur to me that people would find capital ships in a fight disappointing or even feel that they did not belong in the area at all. Of course, you drop one super carrier on the wrong group and they decide its going to be like that every day. Sometimes capitals just upset people. Even when it is a situation where they can legitimately be brought into the conflict some people just don't want them on the field. Undocking one can be enough to scare off a fleet. But it doesn't have to be that way. An upgrade to capital warfare can also be a lot of fun. When someone is playing station games with their carrier and suddenly their carrier is not there anymore because its been exploded by a well planned dred drop, well that's a win in my book. I'm a budding capital pilot. It will be a long time until I have my triage fully trained and my Thanatos is more then a suitcase to move items across space for me. 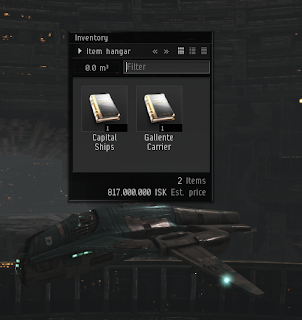 Yet, I decided to get off of my ISK and spend a bit of the money I made the other day to purchase the last pieces of my Capital Ship investment. And that brought me around to doing something that I've needed to do. I'd been making excuses about buying them for a while. Excuse after excuse after excuse. But, my billion ISK in exploration goodness the other day was the catalyst to unhinge me from my iron like dead zombie death grip on my wallet and invest in Chella as she deserves to be invested in. 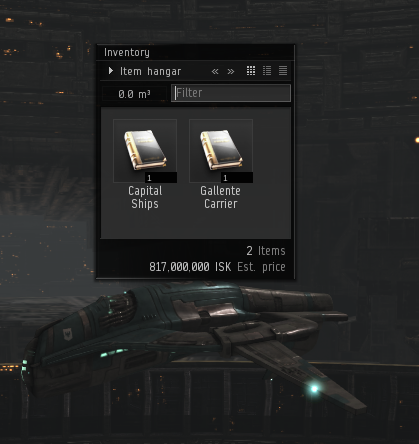 Buying the skill books reinforces what an investment the capital ship pilot is. Its not just the time in training there is a significant ISK sink into the character themselves. I'm surprised at how pleased I am with this path. Don't expect me in any fights for another year or so, but I cannot say that I am unhappy with this choice.